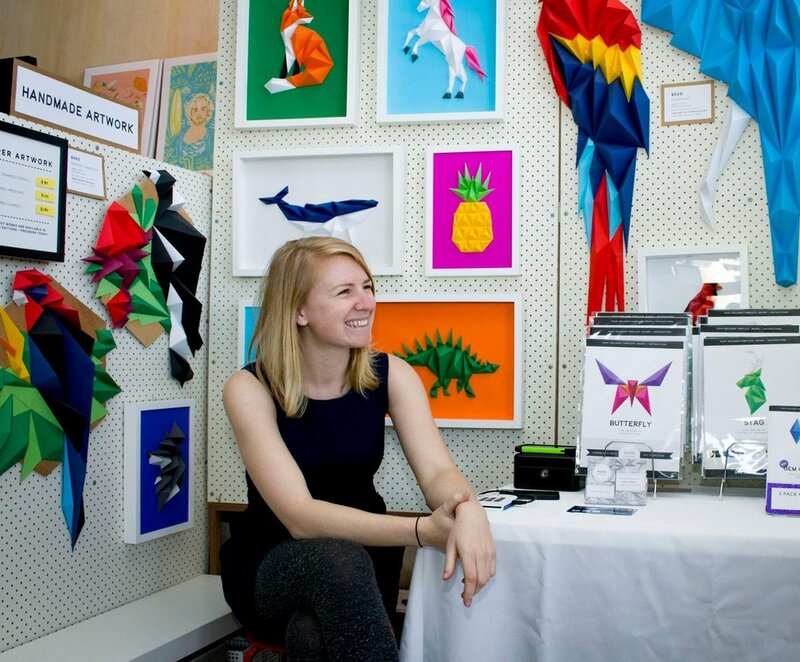 ALTA is illustrator, artist and creative problem solver Anna Trundle. Since 2011, Anna has been exploring papercraft sculpture and installation using a mix of digital and analogue techniques to transform two dimensional shapes into tactile, playful constructions. ALTA offers a mix of commission-based artwork, site-specific paper installations for exhibitions and events, pre-made and printable DIY kits, and papercraft workshops for kids and adults. If you’d like to commission an artwork, discuss a site specific work or enquire about Anna’s workshop availability, please get in touch. If you’re interested in purchasing some artwork or a DIY Papercraft Kit, feel free to visit the online shop for the full catalogue of products.